KABUL, Afghanistan (AP) — The U.S.-led NATO force in Afghanistan says a British soldier has been killed during a successful mission to rescue an Afghan police officer kidnapped by militants. The provincial government of southern Helmand province says the policeman was kidnapped Sunday evening from a police checkpoint in Payan village in Nahri Sarraj district. The NATO coalition said Monday that British forces recovered the kidnapped policemen, but the insurgents managed to flee. Security forces seized one of their mobile phones, some documents and explosives. The NATO statement did not provide any further details about the soldier, nor how he was killed. It says another British soldier was injured. A British aid worker held hostage in Afghanistan is recovering from her ordeal today after special forces swooped on a remote hide-out. Helen Johnston, 28, was dramatically rescued yesterday in an early morning raid following her 12-day ordeal. Prime Minister David Cameron later commended the soldiers who carried out the “extraordinarily brave, breath-taking” operation and returned her to safety. “expect a swift and brutal end”. The rescue attempt was authorised amid increasing concerns for the safety of Ms Johnston and her colleagues from Medair, a humanitarian non-governmental organisation based near Lausanne, Switzerland. 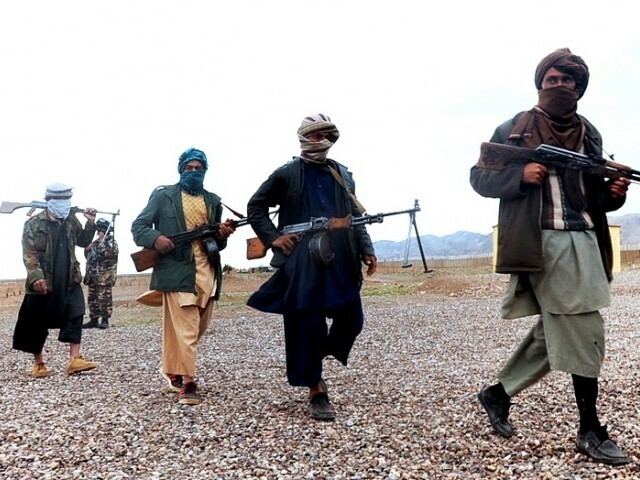 The aid worker, Kenyan national Moragwe Oirere, 26, and two Afghan civilians were abducted by a group associated with the Taliban on May 22 as they visited relief project sites in Badakhshan province in the north-east of the country. 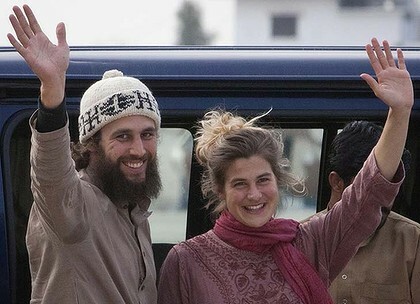 A Swiss couple held captive by the Pakistani Taliban for more than eight months are safe, claiming they escaped their captors in the lawless tribal belt, the Pakistani army says. Olivier David Och, 31, and Daniela Widmer, 28, were abducted at gunpoint on July 1 in the south-western province of Baluchistan, while apparently on holiday. 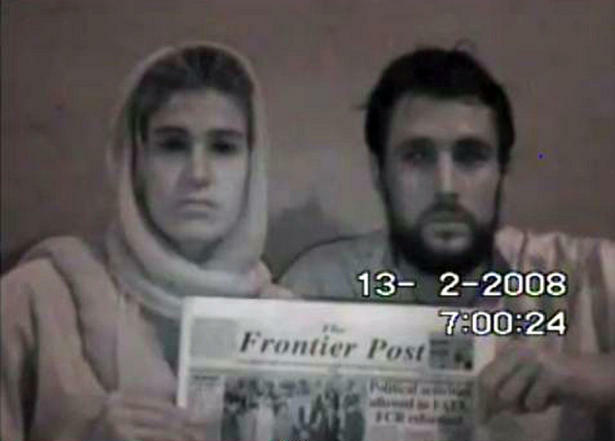 ISLAMABAD—Two Swiss tourists held by the Pakistani Taliban have appeared in a video, saying their captors are threatening to kill them. Swiss couple Olivier David Och and Daniela Widmer are shown holding a newspaper dated Sept. 15 with armed, masked men behind them. The pair are being held in northwest Pakistan close to the Afghan border. They were seized in July in nearby Baluchistan province. The video was given to the Associated Press on Tuesday by a local resident who is purportedly in contact with the militants. Its authenticity could not be independently verified. Militants often kidnap wealthy Pakistanis and less commonly foreigners. Large ransoms are often paid. Taliban insurgents shot down a NATO Chinook helicopter that was taking part in an overnight mission in Afghanistan, killing 31 American Special Operations forces and seven Afghans who were aboard, according to a statement issued by Afghan President Hamid Karzai. The numbers are still unclear as there was no official confirmation from NATO, but it would amount to “the worst single-day toll for American forces in Afghanistan since U.S. troops entered that country nearly 10 years ago, and one of the largest tolls in a single incident of either the Afghan war or the fighting in Iraq,” reports McClatchy. 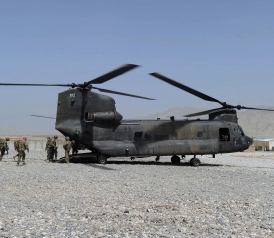 The Washington Post points out that another coalition helicopter “was forced to make a precautionary landing in another part of Afghanistan.” The Taliban quickly claimed responsibility for both attacks and said eight insurgents had been killed. There are conflicting reports of when the incident in Wardak province took place, with the NYT citing a Taliban spokesman saying it was shot down around 11 p.m. Friday, while the Guardian cites a provincial official who says it was around 3 a.m. 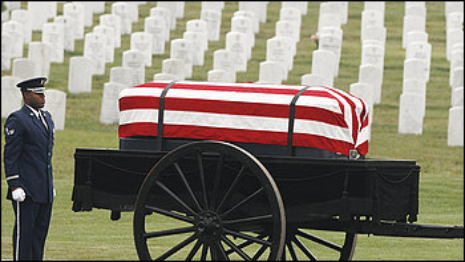 Previously, the deadliest day for the American military in Afghanistan was June 28, 2005, when 16 Navy SEALs and Army Special Operations troops were killed when their helicopter was shot down and three more Seals were killed on the ground, notes the Associated Press. McClatchy points out that the last time “the U.S. military suffered such catastrophic losses” was in January 2005, when 30 troops were killed in a helicopter crash in Iraq and six others died on the ground across the country. KABUL—The Taliban attacked a construction company’s compound in eastern Afghanistan, killing 35 Afghan workers employed by a U.S.-funded road project, Afghan officials said. In the predawn strike on the Galaxy Sky compound in Paktia province, the Taliban killed security guards, engineers and laborers, said provincial government spokesman Rohullah Samon. Eight militants were also killed as the company’s guards fought back, he added. The attack was the bloodiest so far on U.S.-funded contractors since the beginning of the Taliban’s spring offensive, which began May 1. In a statement announcing the offensive, the Taliban promised to target contractors associated with the Afghan government or foreign forces. The Taliban especially oppose road-building programs, which make it easier for coalition armored vehicles to patrol insurgent-dominated areas. 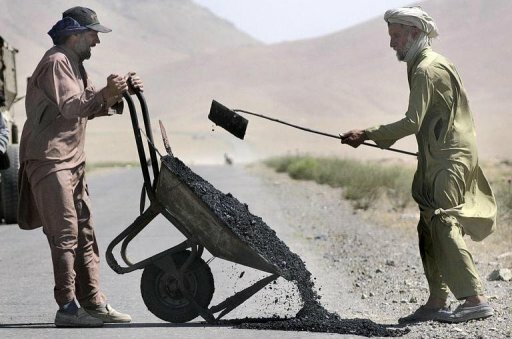 Galaxy Sky, an Afghan construction company, is building a 35-kilometer (22-mile) stretch of road in an area under Taliban influence, Mr. Samon said. But all that has evaporated, thanks to a picture, published in an Army magazine, showing Aref-Rayan working with U.S. forces. The picture, say his Army commanders, is a virtual death sentence in a land where anyone helping Americans is targeted by the Taliban. Tall, thin and silver-haired, Mohammad Aref-Rayan might not look much like a key weapon in the fight against the insurgency in Afghanistan, but U.S. Army officers and defense contractors who work with him say the 62-year-old translator’s services are invaluable. Aref-Rayan is fluent in English as well as his native Pashtu and Dari, Afghanistan’s primary languages. A former fighter in the mujahidin effort to expel the Soviets, he knows Afghanistan’s treacherous terrain intimately. He has a reputation for maintaining his composure under fire, helping U.S. forces during firefights with the Taliban. His status as a tribal elder helps Americans gain entry into the war-torn nation’s many cultures. A Canadian national is missing in Afghanistan, Canadian officials have said. A spokeswoman for the department of foreign affairs in Ottawa said the man – named as Colin Rutherford – had travelled to Afghanistan as a tourist. The confirmation followed a statement by the Taliban saying they had captured someone from Canada. The Taliban said they had detained the man in Ghazni province, south-west of the capital Kabul, for spying. A spokesman said he was still being held and that “documents in his possession revealed his clandestine intelligence activities”. The statement said the Taliban would soon release a video of him. MIRANSHAH, Pakistan — The Pakistani Taliban on Sunday demanded that the country’s government execute a US official who shot dead two men in broad daylight, or hand him over to the Islamist militant group. “We demand that the Pakistani government hang Raymond Davis or otherwise hand him over to us. We will decide his fate,” Tehreek-e-Taliban Pakistan (TTP) spokesman Azam Tariq told AFP by telephone from an undisclosed location. Tariq claimed that Davis, whose exact role in Pakistan has been unclear, was a spy. “He was here for spying. He is an American spy. We will kill all those people and will target them who will help him (Davis) or try to set him free,” Tariq said. “He is a killer, he has killed two innocent Pakistanis. We will take revenge for them,” he added. The shooting has sparked a diplomatic crisis between Washington and Islamabad after the US demanded that Davis, who shot two Pakistani motorcyclists on January 27, be freed on the grounds of diplomatic immunity. 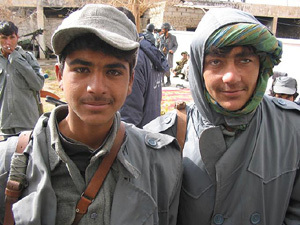 KABUL, 20 January 2011 (IRIN) – Pro-government militias in parts of Afghanistan are believed to be recruiting underage boys and sometimes sexually abusing them in an environment of criminal impunity, local people and human rights organizations say. In a bid to counter the intensifying insurgency, the Afghan government and US/NATO forces have been setting up controversial community-based militias, such as the Afghan Local Police, in insecure provinces. To date, thousands of men have been recruited to such bodies in Kunduz, Baghlan and Kandahar provinces, says the Interior Ministry. “The militias and commanders are hiring young, underage boys in their ranks for different illicit purposes,” said Haji Abdul Rahim, a tribal elder in the southern province of Kandahar. Another elderly man, Khan Mohammad, accused pro-government militias of kidnapping teenage boys primarily for sexual exploitation. The Afghanistan Independent Human Rights Commission (AIHRC) also said it had received reports of child recruitment by pro-government militias in some provinces. “We’re seriously concerned about this,” said Hussein Nasrat, a child rights officer at AIHRC, adding that his organization was investigating the issue. “The use and abuse of children by local armed groups is very worrying because they [pro-government militias] fall beyond the formal, legal and disciplinary structures within which the police and army operate,” he said. The UN Children’s Fund (UNICEF) said it had not received “confirmed information” on the issue, but that it was concerned about the “association of children with such forces” due to their community-based status. NGOs have demanded that the government and US/NATO forces stop using local militias and instead devote greater resources to developing a more professional and accountable police and army. The International Committee of the Red Cross, meanwhile, has said the proliferation of armed actors impedes and threatens humanitarian work in Afghanistan. Children are recruited and used for military purposes by the Afghan national police, as well as the following anti-government groups: Haqqani network, Hezb-i-Islamic, Taliban, Tora Bora Front and the Jamat Sunat al-Dawa Salafia, the UN Secretary-General said in a report in April 2010. Internally displaced and isolated children in conflict-affected areas are particularly at risk of recruitment by non-state armed groups, Radhika Coomaraswamy, a special representative of the UN Secretary-General for Children and Armed Conflict, said in a February 2010 country mission report. “The recruitment and use of children by both [anti-government] armed groups and national security forces was documented throughout the country by the UN Country Task Force on children in armed conflict between 2008 and 2010,” UNICEF’s country office told IRIN. In addition to recruiting children as foot soldiers, the Taliban and other insurgent groups are accused of using children as suicide bombers, and forcing them to plant improvised explosives. “Armed opposition groups continue to perpetrate grave violations against children in the context of the armed conflict,” said UNICEF, adding that the fragmentation of armed opposition groups was jeopardizing dialogue with them on the issue of child soldiers. Poverty and unemployment are believed to be pushing children into joining armed groups. Extremely low levels of birth registration and weak identity documents are also contributing to the problem, UNICEF said. War-related sexual violence is another issue which needs tackling, human rights organizations say. Children, particularly boys, are sexually abused by different armed groups and `baccha baazi’ (meaning “boy play”, a paedophiliac practice) has been reported among armed forces across the country. Despite assurances by the government that child sexual abuse will be tackled and perpetrators punished, little has been done thus far, according to AIHRC. “This is most probably due to the social stigma attached to the issue as well as the inability of the government to fully control armed group leaders who may be perpetrating such acts,” Coomaraswamy said in her report. As a result, cases of the sexual abuse and exploitation of children have rarely been tackled due to impunity and the weak rule of law, AIHRC said. Children are also killed, wounded, detained, displaced and denied access to essential health and education services by the warring parties, human rights organizations say. In the first half of 2010, 176 children were killed and 389 wounded in the conflict – up 55 percent on the same period in 2009, the UN Assistance Mission in Afghanistan reported.